Beauty and the Beast Costumes, Chattanooga – We're here all year! 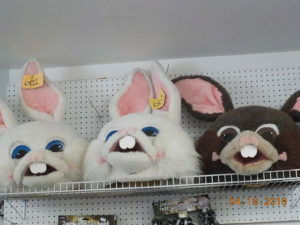 Did you forget to reserve a Bunny Costume for your home, church or business festivities? We are sorry to report that all the deluxe bunnies have already been claimed for this weekend. 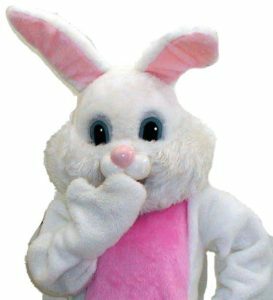 Be sure to come in as early as possible next year to get the best looking Bunnies in the Chattanooga Area. Thank you for your patience with our Website. We have been locked out of it for months due to computer issues. Beauty and the Beast – Where “No one has more” is the truth, not just a slogan. If you have never been here, or haven’t been in a long time, you need to share this experience. So many new things are coming in so quickly, that we’re doing doing everything we can to keep the website updated with all the new costumes and accessories. Here are a few of our favorite things that are in stock right now. Black Panther is not just for boys. 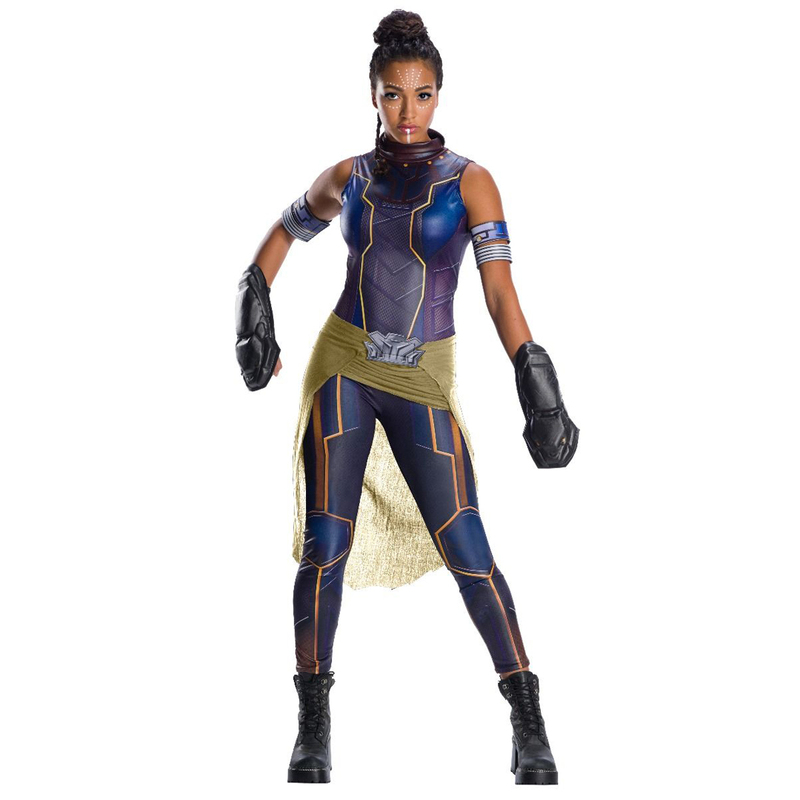 Shuri’s battle costume is available in Adult Small, Medium and Large. Black Panther is available in child sizes Small, Medium and Large as well as Adult Standard and XLarge. 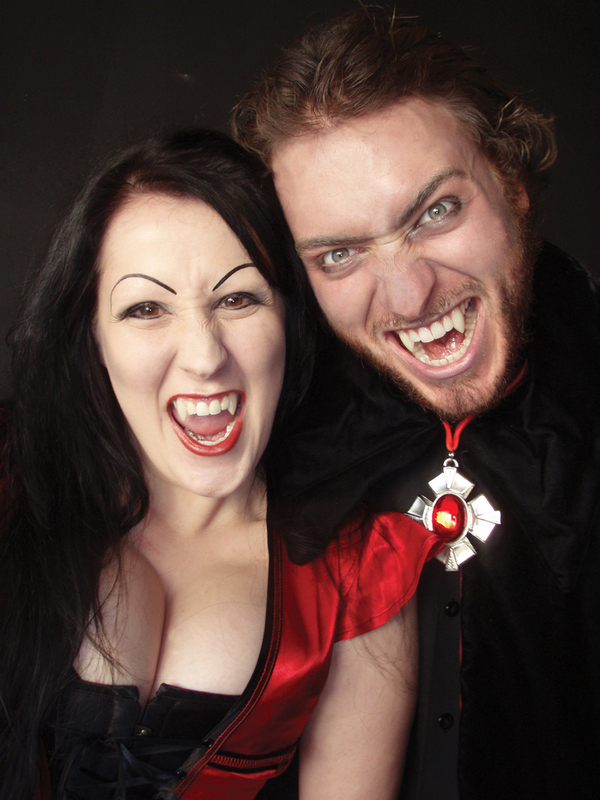 Scarecrow fangs for vampires, beasts and other creatures of the night are the highest quality, reusable tooth caps on the market. It’s that time of year again when the weather is HOT and the Deals are COOL. 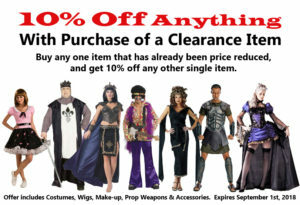 This year, Beauty and the Beast is doing a Clearance Blow Out! 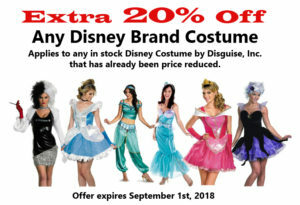 Bring in the coupons below, write “EXTRA 20% OFF Disney Brand Costume” or “10% off Anything” on a piece of paper or just show us this post on your phone to get extra discounts off our already low clearance prices. To view some of our bargains, check samples of our Close Outs HERE. Each year, we at Beauty and the Beast Costumes, Chattanooga adds new costumes for stage productions. 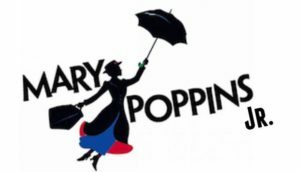 This year, we are adding Mary Poppins for a cast of 75! Through the years, we have worked with many great schools and wonderful directors to bring quality theatrical costumes to aspiring young performers at reasonable prices. Did you ever wonder how we do it? Each year, our regular groups will announce which play they want to perform in the spring. 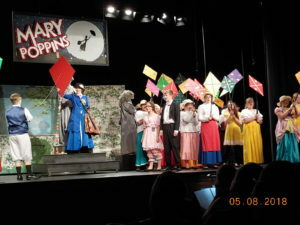 Many choose shows like Annie, Wizard of Oz, Sound of Music or Aladdin that we can do out of our existing costume stock. Most with smaller groups surprise us with less well known shows that keep our creative juices flowing as we pull together things that will work from our massive stock. Each year, one of our larger groups announces that they will be doing a play that I have never done on a large scale before. Last year, it was ‘King & I’, this year it will be ‘Mary Poppins, Jr.’ We will be re-imagining some of our existing costume pieces to fill as many parts as possible, then making the rest – including Ms. Poppins’ accessories, blue skirt plus three coats in black, blue and red. While cleaning out the back room, we started updating the Wigs section of the website. You may be interested to know that we have added listings for over 100 MORE wig styles and colors over the last week. These are not new styles for Beauty and the Beast, these are classic favorites and long running best sellers. As of this posting, we are proud to display 382 different wigs for sale, in stock, right now. For those who ask “Do you sell wigs?” the answer is a big YES! And guess what! We’re currently writing orders for even more new styles as we moved some less popular styles to the clearance section. These are getting a lot of attention as everyone loves a bargain on a fun wig.